Pioneers in the industry, we offer drop ceiling grid, open cell ceiling grid, ceilings sheet, grille ceiling, ceiling suspension grid and ceiling grid from India. Aluminum/G.I. open cell ceiling tiles are designed to lay onto 15 mm Tee Grid. These tiles can be used without any tee grid system also. Access is gained by si mply lifting the tiles out of the grid. The new Lock-in system features open cell ceiling panels with no frame or border around them. The panels simply connect to each other with easy lock-in system of main and CMS. When grid system is not required, the Lock-in system of Main and Cross provides architects and designers with additional flexibility, especially in customized sizes and different colors. 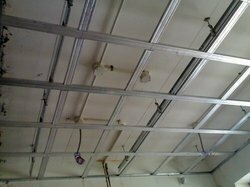 Being one of the reckoned enterprises in the market, we are highly affianced in offering an optimal class gamut of Open Cell Ceiling Grid to our patrons. Aluminum/G.I. 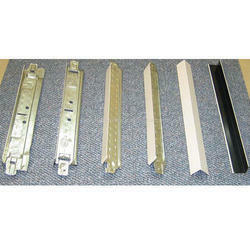 open cell ceiling tiles are designed to lay onto 15mm Tee Grid. 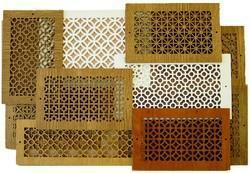 These tiles can be used without any tee grid system also. Access is gained by simply lifting the tiles out of the grid. We Day Ch Engineering Established in the year 1989 an ISO 9001:2008 Certified Company. 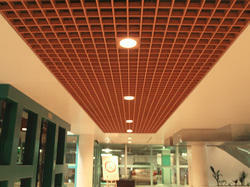 We deal in all types of T Grid Ceilings Viz. Coming with simpler direct mounting support, these Ceiling Grid systems provide for suitability in any surface ceiling as well as at the same time offer quick installation. 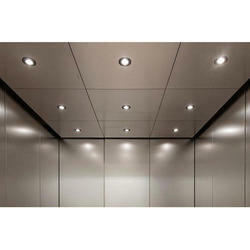 To meet the exact requirements of clients, we offer a wide range of T Grid Ceiling. These are widely acknowledged for their easy installation and dimensional stability. 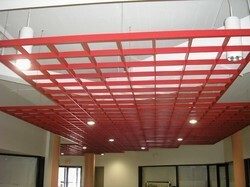 Looking for Ceiling Grid ?